Hi friends, it's time for another rousing rendition of What's Up Wednesday! Monday – Sausage, Peppers, and Onions Tacos, and Lime Chips… this one is pretty much always in the rotation now. So easy and SO good. And also not too bad for you. And it leaves just enough leftovers for me to have one for lunch the next day. Delish! Tuesday – One Dish Cheesy Chicken and Rice with Green Beans. I will be sharing this recipe in the near future… assuming I can actually remember to take pictures when I make it. I’ve forgotten the last three times. Haha. Wednesday – B plays tennis in the evening, so I’ll whip up some sandwiches, fresh fruit, and maybe a sweet potato for the kids, and B will swing by Bojangles, Zaxby’s, or Chick-Fil-A on the way home from tennis and he and I will eat after the kiddos go to bed. Thursday – Breakfast for dinner… eggs, grits, bacon, and toast. Friday – Out somewhere… Panera? Jason’s Deli? Five Guys? Pizza? Local brewpub? Carrabba’s takeout? The jury’s still out, but I’m sure we’ll hit up one of our usual places. Saturday – We will be at the Georgia game, so we’ll either be eating something in the stadium, or we may swing by and stop somewhere on the way home. There’s a Chick-Fil-A and an Applebee’s just outside of Athens that we frequent after games, so maybe one of those. Sunday – My momma’s yummy cooking! All of the activities that we did last fall. I put together our fall bucket list for 2016 last week so I was looking back through some pictures from last fall, and man, did we have a great time last year. This is such a snuggly and joyful time of year! Fall fashion! Even though I’m still not able to participate in it due to these ridiculous temps. 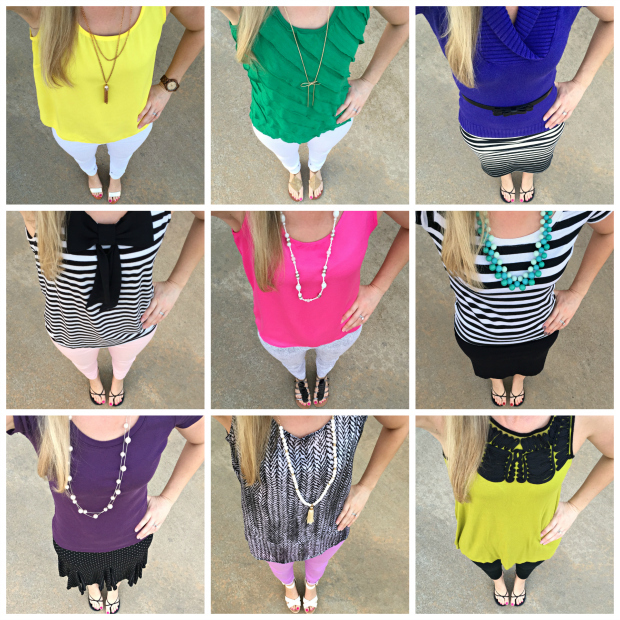 I have recently stumbled upon a few tops that I wish would magically appear in my closet... especially the first one. OMG. And that necklace! If anyone knows where I can find it, please do tell! September was a busy month! 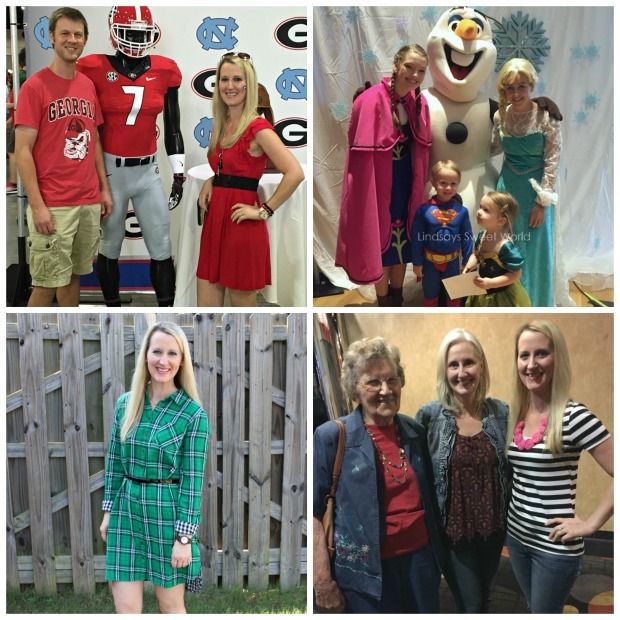 We went to the first Georgia game of the season, we took the kiddos to a character breakfast, I did another collaboration with JORD and shared my favorite fall fashion staples, I saw The Light Between Oceans with my momma and grandmother, I had a girls’ night out at Carrabba’s with my girlfriends, we went to my alma mater’s alumni social and homecoming game, and we celebrated my momma's birthday. And that only scratches the surface, friends! We’ve been as busy as little bees. This past couple of weeks has been spent preparing our house for fall. I finally put the finishing touches on it this past weekend when we bought some mums and a couple of pumpkins. Now I’m just working on getting it all staged and photographed so I can take you guys on a little tour! I’m excited. And the post should be live on Tuesday. Here's the tour from last year if you missed it. I’m also working on finding a photographer and picking out clothes for our fall family photo shoot. If you need any pointers on what to look for when picking out clothes for a photo shoot, I’ve got you covered here. Only 8 simple steps! I’m really excited about the fact that we already bought Halloween costumes for both kids, and the fact that we have already done a good bit of Christmas shopping for both of them as well. I feel like I’m way ahead of the game, and this time of year goes by in the blink of an eye, so heaven knows I need to be as on top of things as possible! 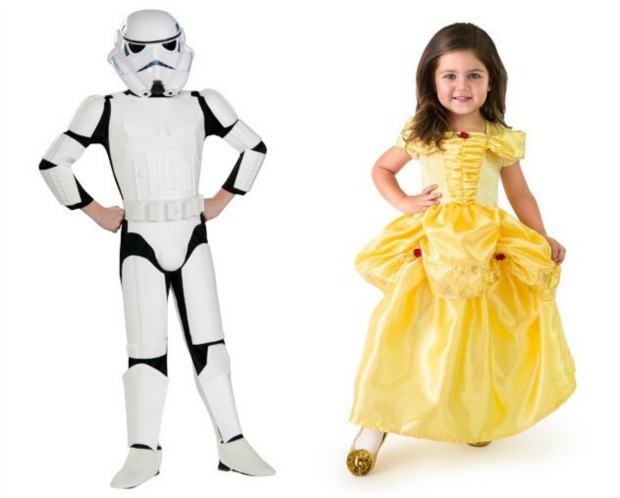 For Halloween, Jacob wants to be a Stormtrooper and Olivia wants to be Belle from Beauty and the Beast… a girl after my own heart… Belle has always been my favorite princess! We got both of their costumes on Amazon. Olivia’s fits perfectly and the quality is really good. Jacob’s should be here Friday, so fingers crossed that his will fit just as well. Watching – Aaaallll the TV!! The fall lineup is here, you guys! Big Bang Theory, Modern Family, Shark Tank, and my new favorite… This is Us. You guys, this show is so good. SO. GOOD. If you haven’t yet seen the pilot episode, drop what you’re doing and watch it immediately. It has a Parenthood vibe with a twist so crazy at the end of the first episode that your jaw will literally drop. Mine did. My expectations were through the roof for this show so I was really worried it just wasn’t going to live up to them, but it did, friends. It did. 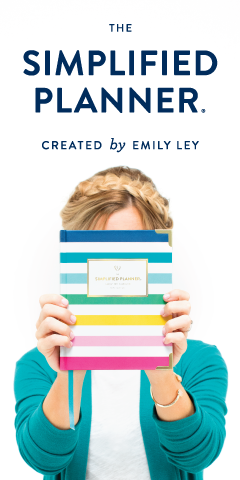 Reading – I finally finished Keep Me Posted by Lisa Beasley. If you remember in my last What’s Up Wednesday post, I discussed how boring it was. Well, it did finally pick up a little toward the end, but overall it was a snooze-fest. Don’t waste your time. 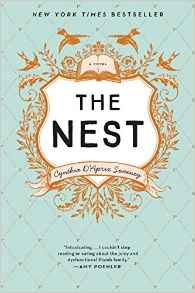 I am now reading The Nest by Cynthia D’Aprix Sweeney, and it’s not off to a great start either. Pretty slow so far, but I’m hoping it picks up soon… I don’t want another repeat of last time. If so, it might just take me six months to read it. 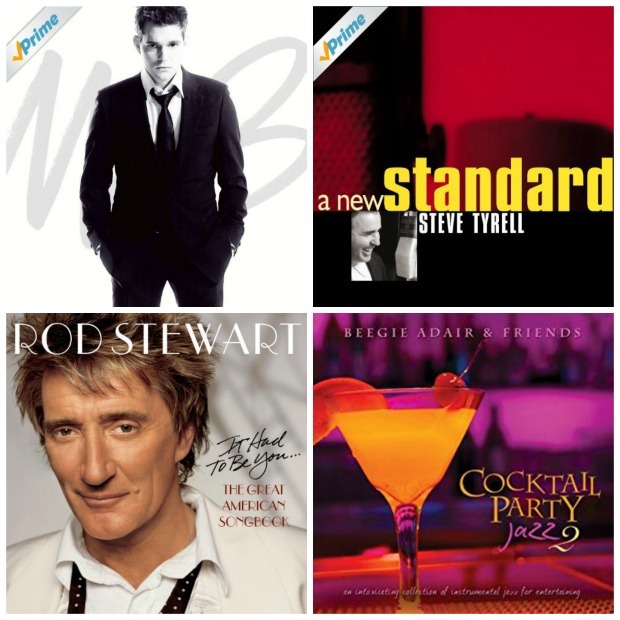 I still pretty much have Michael Buble, Steve Tyrell, Rod Stewart, and aaaallll the cocktail jazz on repeat. There’s just something about this time of year that makes me want to listen to all the old standards. I may have already snuck in a few Christmas songs as well, but only the jazz versions without lyrics. I’ll hold out until November 1st before I bust out the big guns. It’s still above 90 degrees every day here, so my leggings and boots and scarves are going to sneak out of my closet and catch the next flight to Maine if something doesn’t change soon. And I’m going to go with them. If you want to see a bunch of summer junk, you can see my last fashion recap here. This one is going to be such a good one, friends!! We’re heading to Athens to cheer on our Georgia Bulldogs, and this time we’re taking Jacob for the first time!! He has never been to a game, or even to Athens for that matter, so we are looking forward to showing him around campus. It’s really beautiful this time of year, and the weather there is only supposed to be in the low 80’s there so we will at least get a slight reprieve from the heat. Our trip to the mountains! Apple picking, wine-tasting, and gem-grubbing are a few of the things that we’re hoping to do while we’re there, and I am so excited I can’t even stand it. The thing I’m excited about the most, though? The cooler weather there. Amen. I documented a day in my life on the blog earlier this week, and I had such a good time doing it! I know I’m a busy lady, but I just didn’t realize the extent of it until I went to put the post together. I had taken over 100 pictures that day. Whew. 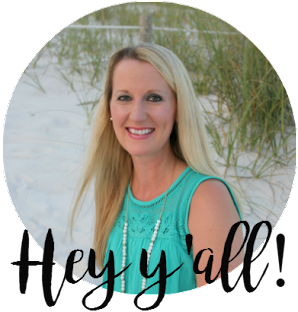 You can see the post here… you know you want to take a peek… these are the best kind of posts! Well friends, happy fall, happy almost-October, happy cool-weather, scarf-wearing, pumpkin-carving, pumpkin-drinking, pumpkin-decorating, and pumpkin-eating time of year! Isn’t it simply marvelous being #basic? 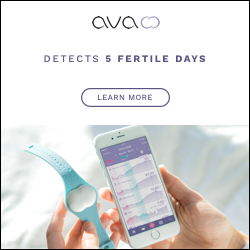 You guys have had a full month! Your dinners sound fabulous, especially take out tonight. Chick fil a is always a good idea. Your weekend plans sound SO fun with taking Jacob to his first game. Can't wait to hear about it! Love the outfits for photos! So cute and fun. You'll have such a fun weekend with Jacob. Can't wait to hear all about it. I love This Is Us! I have it DVR'd from last night. I plan to watch it during nap time. Love your choices of outfits for pictures! I have our outfits all picked out, too. Now we just have to wait two weeks til our pictures. Um, This Is Us just keeps getting better. I'm actually rewatching Parenthood on Netflix because I just can't get enough. haha! Love this post! Your family picture outfits are cute and colors work so well together! I also heard that The Nest wasn't as great as it was hyped up to be, so I passed on it last week. I can't wait to read your opinion of it! I hope your temps drop soon, this is exactly why I couldn't live in the South! And Olivia will be such a cute little Belle! Baha ha! I am so sorry that you are still putting up with summer temps. Things just finally got better here this week, but we're back in the 80's the next. I hope you get a break soon. Oh my word that show is amazing right. I laughed and cried through both episodes. So glad to hear so many of my blogging gals are loving it too. I hope Jacob has the best time this weekend! Yay taking Jacob to Athens for the game! Are Jacob is coming home from college this weekend so I am so excited! I just love thinking about Halloween costumes, I miss when the boys were little and we would go pick them out. They still get costumes now. My favorite was when my oldest and his friend were a slice of peanut butter and jelly bread, one is the peanut butter and one with the jelly, it was hilarious! Breakfast for dinner it's one of my all-time favorite meals!! Oh my gosh, that is hilarious! I can't wait until our kids get a little older so they can do some funny costumes like that. Right now they just can't get beyond superheroes and princesses! Haha. I always love seeing what ppl eat bc I'm always out of food ideas, hehe. YAY for the game this weekend! Time to hunker down, Dawgs! I am SO over this weather too. I have a closet of cute sweaters and scarves just waiting to be worn! Breakfast for dinner, can I come? 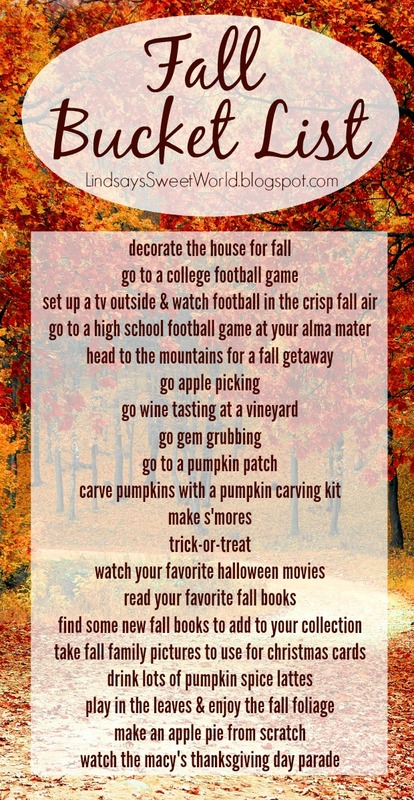 Your fall bucket list gives me all the feels. And I feel you about the "fall" temperatures :( Your outfit posts are always my favorite. Yay can't wait to see your home tour! And that off the shoulder top is perfection! Belle... a great costume choice! We still haven't decided what to dress Caleb as. He's still at that age where we get to decide. ;) Last year for his first Halloween, he was a cowboy. I don't know if we can top that one! I put it together myself and loved it. Awwww, my littlest brother was a cowboy when he was about five and I think that was my favorite of his costumes. My dad even drew some five o'clock shadow on his face! It was so cute! I love your outfits! Thanks for sharing your meal plans, I love to see what other people are eating. I love breakfast for dinner, it's one of my favorites. Hope the temp drops soon, it should not be 90 in the fall. That is so not fall. hah, I love that you had to remind yourself to take pictures of your day. I love those posts, totally missed that one, off to read that one. I can't wait to start watching This is Us, it's all recording just begging me to watch it. I'm hoping to catch up this week! Fingers crossed! Love all the dinners you are preparing, can you come make some extra for me too? hehe. YES girl, I'm so ready for Fall temps! We had a little teaser of cool weather last week or so, but we are back in the high 80's and 90's...just give me cool weather, please! I was not expecting the ending to be what it was...I figured that they would all somehow be "related" but didn't expect that. I can't wait for more! I am loving This is Us. I haven't seen last nights episode, but I loved the first one. Especially the triplet pregnancy thing because duh, I have twins and it was a crazy delivery. So much fun stuff coming up for you guys. I can't wait to read about it. I'm pretty sure I've cried in both episodes so far! Loving the real ness of that show! Oh my gosh, This is Us - YES! I obsessed with it already! Sounds like your fall is going to be a great one!! Yes yes yes! I'm totally hooked! I get obsessed with planning family picture outfits! I can't even let my mind go there yet because I know it will devour my thoughts!! I love the colors you chose though!! I don't usually like plaid, but I would wear that green dress. I like how your porch looks with the fall decor. You guys have had a busy month! But, a good one! And girl, don’t even get me started on the fall temperatures. It’s been ridiculous here! Pure ridiculousness! I adore that color palette for family pictures! Okay, This is Us this week. WHOA! I was legit sad when it was over. I want MORE! Such a good show so far! I'm watching the second episode of This Is Us right now! I love it so much! Dinners with leftovers for lunch are the absolute best! Wow. Lime chips? I'd never heard of them. I did try lime crackers once and they were...interesting! It's 56 here now, so we're definitely getting the fall temperatures. I'm starting to dread it getting any colder...could you send a bit of your warm weather up here? Maybe not all of it though! 92 is something else for late September. I'm loving the stripes in your outfits. Also that polka-dot skirt looks fabulous! Stripes and polk-a-dots are two styles I really like. I love your outfits for your family photoshoot! The colour scheme is perfection. 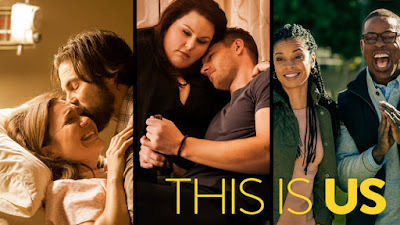 And yes, of course I love This Is Us too! I'm so glad it's getting such a positive initial response!